The four-cylinder Honda Accord is a striking value in base form, especially now that all versions include a USB port and a rearview camera. The 2013 Honda Accord is one of America's best, most sensible sedans, even if it hasn't changed radically. 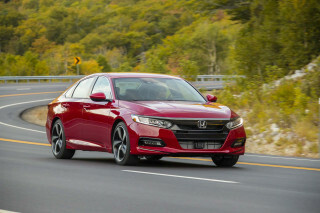 While the Chevrolet Malibu and Toyota Camry have both lost some sense of direction; and the Nissan Altima, Kia Optima, Ford Fusion and Hyundai Sonata have all gained ground with new design and useful new features, it's the 2013 Honda Accord that's effectively cleaved the current group of mid-sizers in two. With its most excellent base model, and exceptionally smooth V-6 edition, the Accord wows in the same ways it always has, and the latest edition introduced this model year is a return to form in many respects. 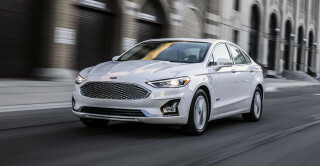 But it's also less adventurous and somewhat less outgoing about its changes than some of the most successful offerings from Ford, Kia, Hyundai, even Volkswagen. The Accord's major redesign this year has transformed it, in nearly every metric and dimension, for the better. Unlike many of those competitors, it's kept the V-6 on the table, while improving mileage and refinement across the board. It's also focused on interior space, and in a turnaround from the brand's recent features philosophy, now offers connectivity and safety-tech features on some of the volume models, not just the top-of-the-line trims. Honda clearly walked that line between repeat-buyer expectations and finding its mojo with the current market when setting the 2013 Accord’s design and styling. The new look isn’t stunning or head-turning, but at the same time, it maximizes the greenhouse and looks especially interesting in side shots and closeups—and it isn’t at all slab-sided. Inside, Honda aims to make it luxurious and modern, and a rather low instrument panel—pushed as far forward, and out at the corners, to maximize space—but with important controls placed quite high within it. Coupes have essentially the same interior as sedans from the seats forward, but with a tail that has a little more of a lift at the back, for a wedgier, more dynamic stance. You give up some practicality, you gain a performance look. All 2013 Accord models remain front-wheel drive, and in order to boost fuel economy, Honda is introducing a couple of all-new powertrains this year. First, Honda brings direct-injection engine technology to North America for the first time in models with the four-cylinder engine. You can choose from a six-speed manual or continuously variable automatic transmission (CVT). Honda claims, with its unique G-Design shift logic, “a more immediate acceleration response than conventional automatics or other CVT designs,” and that's true. Most four-cylinder Accords make 185 horsepower, while an Accord Sport model makes 189 hp. Otherwise, the V-6 model is definitely still alive in the Accord lineup. 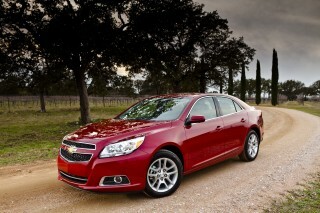 For 2013 it makes 278 hp and couples to a six-speed automatic transmission or (in Coupes only) a six-speed manual gearbox. All models include an Econ button that engages a set of fuel-saving measures like more conservative use of accessories and softened throttle response. Both engines run on regular unleaded gasoline and have impressive fuel economy ratings: 27 mpg city, 36 highway with the four-cylinder engine and CVT, and up to 21/34 with the V-6. That's not quite up to the base Nissan Altima, but almost. Otherwise, the party loyal might find it a little unsettling that Honda has at last given up its worshipped double-wishbone setup in the Accord, instead opting for more tunable (and cheaper) MacPherson struts that it claims will improve ride and handling while cutting cabin noise and harshness. Honda also reduced weight and keeps away harshness with a new aluminum-and-steel front subframe and some careful underbody aerodynamic work. The Accord drives with much of the verve of previous editions, and the new electric power steering is particularly good. While Honda has shortened the Accord just a bit, it's packaged better. Rear legroom increases about an inch, while shoulder room in front and in back is improved, and trunk space is not only larger but the cargo floor is now flat. And a couple of design traits that Honda draws attention to—the near-level beltline and ample window glass, with thinner-than typical front and rear pillars—should not only keep your rear passengers from needing Dramamine but also helps you stay safe with a better view outward. Our only letdowns regarding the interior is that the rear seat folds forward in one clunky piece, and the dual-screen layout you get in some trims comes with a confusing control set. All 2013 Accord models come with four-wheel disc brakes, including Electronic Brake Distribution and Brake Assist, plus stability control, and hill start assist. And in addition to all the expected airbags, the Accord features a new SmartVent technology for its side airbags that eliminates the need for fussy occupant-position detection systems. Forward Collision Warning, Lane Departure Warning, and Adaptive Cruise Control systems are all available on the Accord, and a cool new LaneWatch Blind Spot Display provides a wide view of the passenger side of the vehicle on the Multi-Information Display (i-MID) screen—a feature that should be very useful in avoiding mishaps when changing lanes with a full vehicle or distractions. Crash-test results have been nearly perfect as well, with the new IIHS Top Safety Pick+ rating, as well as a five-star overall score from the federal government. Honda has been criticized for being skimpy on features, but this is no longer the case with the 2013 Accord. Bluetooth connectivity is included throughout the lineup, not just in top trims, and all Accords include USB and iPod integration plus a rearview camera and an Expanded View Driver’s Mirror. The 2013 Honda Accord Sedan will be offered in LX, Sport, EX, EX-L, V6, and Touring trims, with the Coupe available in LX-S, EX, EX-L, and EX-L V6 models. Adaptive Cruise Control is exclusive to the Touring Sedan, which also includes Honda’s first LED projector headlamps, while LED brake lights are included in EX-L and Touring models. All V6 models include daytime LED running lamps. 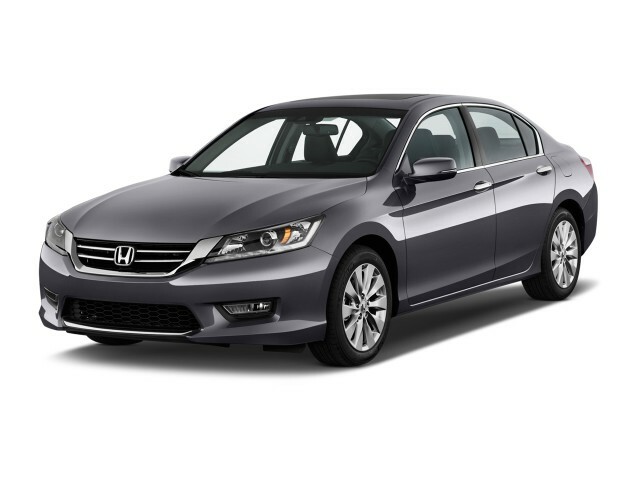 The design of the 2013 Honda Accord maximizes interior space, yet it's classy and well-proportioned. Honda clearly walked that line between repeat-buyer expectations and finding its mojo with the current market when setting the Accord’s design and styling. You won't find a radical redesign here in the 2013 Honda Accord, but it's classy and sophisticated and makes sense for the Accord's mission. With a so-called “man maximum, machine minimum” approach, Honda established packaging (seating front and back) first and then drew an attractive form around that. What they ended up with, from the outside, looks merely evolutionary. Walk around this new 2013 sedan—even with the badging removed—and even those who don’t know cars would be likely to call it out as an Accord. But on the other hand, there's a lot of interest in the side sheetmetal, including some expressive lift—giving the car more of an aggressive, wedge-like look even if the greenhouse is mostly level—and creasing that flows around and into the contours of the taillamps. The “Dynamic Intelligent” look isn’t stunning or head-turning, but at the same time, it maximizes the greenhouse and looks especially interesting in side shots and closeups—and it isn’t at all slab-sided. Coupes have essentially the same interior as sedans from the seats forward, but with a tail that has a little more of a lift at the back, for a wedgier, more dynamic stance. You give up some practicality, but you gain a performance look. Inside, Honda aims to make it luxurious and modern, and a rather low instrument panel—pushed as far forward, and out at the corners, to maximize space—but with important controls placed quite high within it. While trims and materials do get a more premium look as you rise up the ladder to the top Touring models, both EX-L and Touring trims get a touch-screen audio system that introduces the need for two separate screens and we think ends up adding clutter and complexity to the interior look. A set of new efficiency-minded powertrains proves refined and responsive in the Accord, while handling is crisp and confident. From a performance perspective, the 2013 Honda Accord sees more significant change than the lineup has received in more than a decade. All Accord models remain front-wheel drive, but in order to boost fuel economy, Honda is introducing two new engines as well as a new automatic transmission for each. First, Honda brings direct-injection engine technology to North America for the first time in models with the 185-horsepower (189-hp in Sport models), 2.4-liter four-cylinder engine. With it, you can choose from a six-speed manual or continuously variable automatic transmission (CVT). Thanks to a unique G-Design shift logic, Honda claims that there's “a more immediate acceleration response than conventional automatics or other CVTs,” and from an initial test, we have to agree. This CVT brings revs up quickly, then creates the feeling that it's locking onto 'gears' along the way--avoiding the steady drone and rubber-band sensations that plague some of these designs. Otherwise, at a time when rival models look to turbocharged fours, the V-6 model is definitely still alive in the Accord lineup. For 2013 this 3.5-liter makes 278 hp and couples to a six-speed automatic transmission or (in Coupes only) a six-speed manual gearbox. It's been fitted with full i-VTEC and Variable Cylinder Management to aid efficiency, and active noise cancellation helps make it feel more refined than ever. The Honda Accord has always been a little more engaging than most other mid-size sedans, and it continues to follow that tack; a manual transmission is offered in four-cylinder Accord sedans--and it's not just offered in base models, or an afterthought. With such a precise gearbox, neat clutch takeup, and the responsive, rev-happy feel, this Accord feels far more refined than other base-model cars. A manual gearbox is also offered with the V-6 in Coupe models only, but there it includes a rather heavy clutch pedal that we could see being more tiring in the commute. Meanwhile, the V-6 models are among the best highway-commuter and road-trip cars ever. In the 2013 Accord, Honda has at last given up its worshipped double-wishbone setup, instead opting for more tunable (and cheaper) MacPherson struts that it claims will improve ride and handling while cutting cabin noise. Otherwise, the automaker has reduced weight and keeps away harshness with a new aluminum-and-steel front subframe and some careful underbody aerodynamic work. The electric power steering that all Accord models now have is another case of technology that’s not loved in other models, but it’s done right here. We really could see or feel no issue with the steering in four-cylinder models, and while it feels a little more isolated and muted in V-6 models, it behaves as electric systems should, with a mostly linear weighting, a good sense of center, and a sense of the road surface and the cornering loads. It also has a nice natural feel, and Honda points to a non-contact torque sensor as one of the keys to this. The 2013 Honda Accord models have cabin appointments that go beyond what typical, budget-minded mid-size buyers might expect. The 2013 Honda Accord is actually a bit shorter than last year's model, but it's packaged better than ever, with an excellent interior design, an improved back seat and cargo area, and significantly improved cabin refinement. Thanks to a rather low beltline, there's more window glass all around, and that lends a sense of airiness and spaciousness. with thinner-than typical front and rear pillars—should not only keep your rear passengers from needing Dramamine but also helps you stay safe with a better view outward. But it's not just that; rear legroom increases about an inch, while shoulder room in front and in back is improved. Front seats have a new design this year, with better back support for longer trips. Trunk space is not only larger (15.8 cubic feet) but the cargo floor is now flat. Although one thing that we (and some shoppers, we're sure) would like to see in the Accord is a split-folding back seat. All 2013 Accord models include a rather inconvenient single-folding seat arrangement. Beware that models with the larger 18-inch wheels--and V-6 models in general--tend to have a bit less composure on bumpy roads than base models. Thanks to additional noise insulation, the Accord is now one of the quietest mid-size sedans inside. All 2013 Accord models include both Active Noise Control and Active Sound Control, which help cancel out road noise especially. The 2013 Accord has better crash-test ratings than any other affordable mid-size sedan, as well as a robust list of available active-safety features and a new, stronger structure. The 2013 Honda Accord includes all the safety features that you might expect to see in a modern four-door sedan; in addition to that it offers some standout active-safety features, and its crash-test ratings have been top-notch. All Accord models come with four-wheel disc brakes, including Electronic Brake Distribution and Brake Assist, plus stability control, and hill start assist. And in addition to all the expected airbags, the Accord features a new SmartVent technology for its side airbags that eliminates the need for fussy occupant-position detection systems. Forward Collision Warning, Lane Departure Warning, and Adaptive Cruise Control systems are all available on the Accord. LED headlamps are also offered at the top of the lineup, and they're the first ever in a Honda, but daytime running lamps are included in all V-6 models and LED brake lights are fitted to EX-L and Touring models. On EX models and above, there's a cool new LaneWatch Blind Spot Display that, when you click the turn-signal lever, provides a wide view of the passenger side of the vehicle on the Multi-Information Display (i-MID) screen—a feature that should be very useful in avoiding mishaps when changing lanes with a full vehicle or distractions. Thanks to the Accord's low beltline and thinner pillars, outward visibility is already a bit better than with other vehicles in this class. 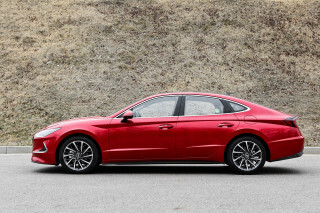 Those thinner pillars are made possible thanks to the Accord's next-generation ACE body structure, which uses 56-percent high-tensile steel. 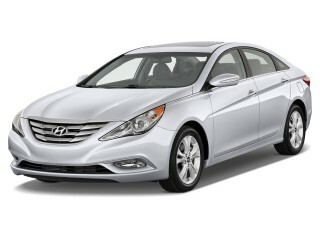 The 2013 Accord has some of the best crash-test ratings of the current crop of mid-size sedans. In Insurance Institute for Highway Safety (IIHS) ratings, the Accord earns the new Top Safety Pick+ rating, with top 'good' scores in all tests, including the tough roof strength test and new small-overlap frontal test. And while the Accord gets a top five-star overall score from the federal government, it does get a four-star frontal-impact score. 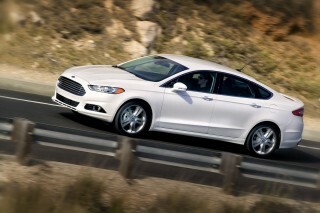 That said, it's about the safest pick in an already safe class of sedans. Honda piles on the useful features, even in LX and EX trims, while the EX-L and Touring models get the traditional luxury treatment. Honda in the past has been criticized for being skimpy on features, but this is no longer the case with the 2013 Accord. The 2013 Honda Accord Sedan will be offered in LX, Sport, EX, EX-L, V6, and Touring trims, with the Coupe available in LX-S, EX, EX-L, and EX-L V6 models. Bluetooth connectivity is now included throughout the lineup, not just in top trims, and all 2013 Honda Accord models include USB and iPod integration plus a rearview camera and an Expanded View Driver’s Mirror. Dual-zone automatic climate control, 16-inch alloy wheels, and an eight-inch i-MID display plus Pandora audio streaming and SMS text-messaging capability are all included in the base LX model. 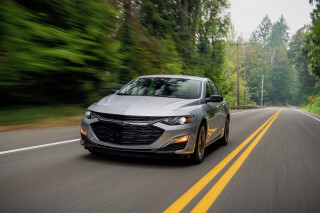 Stepping up to the Sport model gets you fog lamps, a rear spoiler, steering-wheel shift paddles, a power driver's seat, a dual exhaust, and 18-inch alloy wheels. EX models get a power moonroof, plus the LaneWatch system, push-button entry, heated side mirrors, and 17-inch wheels, while the EX-L brings on a taste of luxury, with leather upholstery, a memory driver's seat, heated seats, Lane Departure Warning and Forward Collision Warning, and a HondaLink system featuring Aha streaming entertainment capability in an upgraded 360-watt sound system. Adaptive Cruise Control is exclusive to the Touring Sedan, which also includes Honda’s first LED projector headlamps, while LED brake lights are included in EX-L and Touring models. All V6 models include daytime LED running lamps. Honda is offering an underbody kit, additional side molding, a sport grille, rear wing spoiler, and other extras such as illuminated door sills as dealer-installed accessories. Thanks to a new CVT and direct injection, the 2013 Accord four-cylinder gets up to 36 mpg--but the V-6's 34 mpg highway is even more impressive. The 2013 Honda Accord gets much-improved gas mileage--and that holds true whether you get the base four-cylinder engine or the V-6. With the all-new continuously variable automatic transmission (CVT), and direct-injection, four-cylinder Accord sedans now achieve up to 36 mpg highway (and an excellent city rating of 27 mpg). Perhaps even more impressive, though, is that V-6 models now achieve up to 34 mpg highway--though measures including variable cylinder management (VCM). In an early preview drive of the Accord, we averaged about 29 mpg in an EX-L V-6, in a mix of more than 100 miles of expressway, two-lane highway, and mountain backroad conditions. On a comparable route, about the same length and speed, we also saw 29 mpg in a four-cylinder/CVT model. All models include an Econ button that engages a set of fuel-saving measures like more conservative use of accessories and softened throttle response. For 2014, Honda Accord Plug-In Hybrid and Accord Hybrid models will make their debut. With a new two-motor hybrid system that can operate in three different modes, including all-electric and direct-drive modes, and includes a 2.0-liter four-cylinder engine and lithium-ion battery pack that reduces trunk size somewhat. A stealthy sport sedan dressed as an ordinary family car. The honda accord ex is the best car in its class. 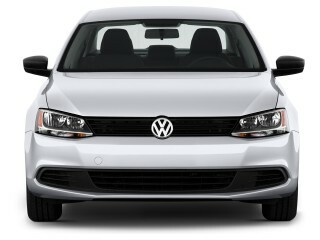 This car is great for long distance trips and has many style options. Could use HID head lights and better carpet, other than that is a very good car. Ton's of high tech, but a ride quality little poor. including a 010 Accord, but the large MID screen is the main zapper. noise in the rear, which might be shock, or sway bar link issue. Gas mileage is great on long trips, but not as good for my commute. a power differences getting on the freeway. We've owned the 2013 Honda Accord EX-L for a couple of months now and, all in all, we like the car. Prior to purchasing the Accord we had a 2012 Camry SE. The Camry 4 cylinder was much faster and had more... We've owned the 2013 Honda Accord EX-L for a couple of months now and, all in all, we like the car. Prior to purchasing the Accord we had a 2012 Camry SE. 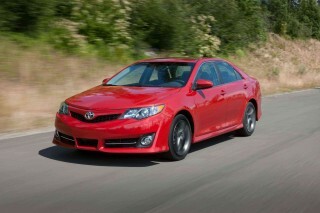 The Camry 4 cylinder was much faster and had more overall power. The four cylinder in the Accord is underpowered and, for highway driving and racing around), it is better suited with the power a V6 provides The continuous variable transmission (CVT) shifting is quite odd if your use to traditional automatic or manual transmissions. If the Accord EX-L came with paddle shifters, it would probably be as enjoyable a car to drive as was the Camry SE. Not as much a critique as a personal observation, if you like stiff suspension for on a dime maneuvering, the Accord is the car for you. It handles much better than the Camry SE and the stock ride is much like performance racing suspensions. It is obvious, someone from the racing department designed the suspension in the 2012-2014 Accords. Before purchasing this Accord, I read all the pros and cons. One of those cons was the seating. It isn't the most comfy car, but it isn't designed to be a Cadillac or Lincoln. 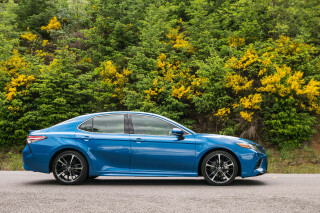 For what it is (a sporty mid-sized regular sedan), it is good enough and is similar to the Camry. Make sure to get the Accord and Camry with electric adjusted seating. Neither vehicle has base seating leg room adjustable enough for my driving position (6', 350...bing). However, with electric adjustable seats, the Accord is much roomier for both rear passengers and driver. The front passenger seat loses some leg room for some reason (heating core or AC unit). The most wonderful car I have ever driven! Pros: Awesome looks. Tons of standard features: Bluetooth, back-up camera with large 8" screen, dual zone climate control. Large and easy to use controls. Spacious back seat (six footers have plenty of knee... Pros: Awesome looks. Tons of standard features: Bluetooth, back-up camera with large 8" screen, dual zone climate control. Large and easy to use controls. Spacious back seat (six footers have plenty of knee space. Good acceleration and decent handling. Good visibility and seat position. Low price and good fuel economy. Reliability and Comfort Required and I Got Both! Good Looking car, fun to drive Little issues with Radio & paint. We purchased a 2013 Honda Accord Touring in late 2012. Lots of little issues with radio that would cut out. You would need to turn car off and then back on for radio to work. They did a software update at the... We purchased a 2013 Honda Accord Touring in late 2012. Lots of little issues with radio that would cut out. You would need to turn car off and then back on for radio to work. They did a software update at the dealership, and radio has been OK ever since. In 2014 we did the Honda map update $145.00 for new maps. They send you a CD and you must keep the car running the entire time the map update is installing +2hrs. Neighbors not very happy with my car sitting in driveway running that length of time. New Maps have more issues. Went to Disney in Orlando soon after install. Could not find I-4 major interstate that was right in front of our hotel, many other similar issues. Nav system could not find Honda dealership here in Bradenton, FL. when you entered address. When you search by Auto Dealerships, the Honda Dealership comes up with the exact address that you just tried to type in?? Voice recognition system is crazy bad.